I’ve always wanted to go a clam bake—you know, where they roast clams and lobsters and other fun stuff in a fire on a beach, and you pick up sea shells and drink beer and slather butter on every food in sight. 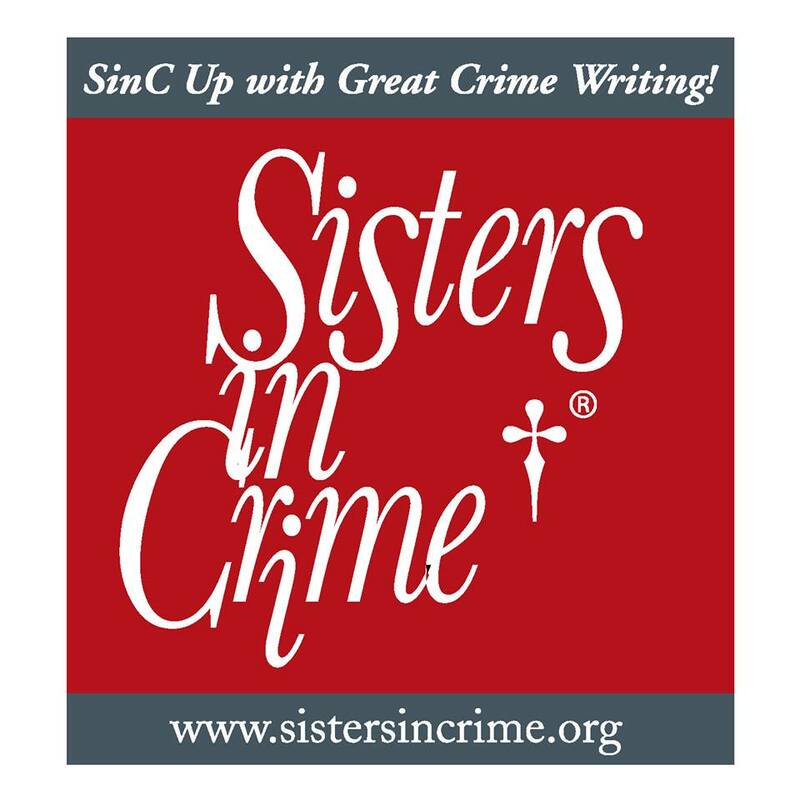 The crime fiction equivalent is the New England Crime Bake, co-sponsored by the New England chapters of Sisters in Crime and Mystery Writers of America. 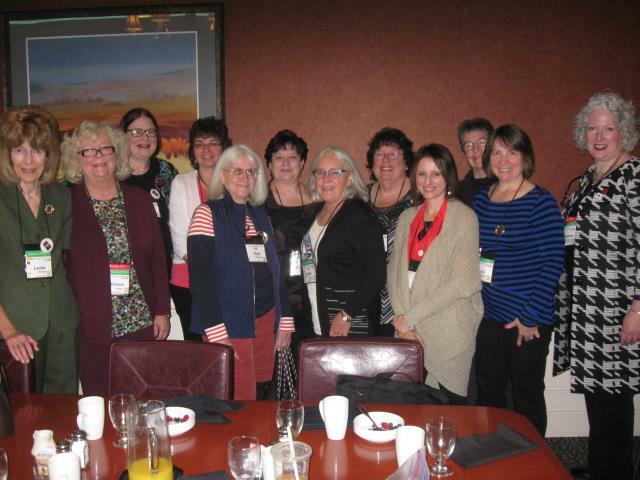 The SinC-NE chapter invited me to the fourteenth annual weekend workshop, as the national president, while MWA-NE welcomed my counterpart, Executive VP Donna Andrews. It was a weekend filled with energy, creativity, inspiration, practical advice, and just plain fun. I’m only a month into this SinC president gig, so it may be early to call something a highlight, but this will definitely be on the short list! The guest of honor was the great Elizabeth George—whom I first met 16 years ago when she taught an intensive mystery writing workshop at Book Passage Bookstore outside of San Francisco. (That’s where I met my friends Leann Sweeney, Deborah Lacey, and Tim Wohlforth, all now busy writing, publishing, and otherwise staying active in the mystery world!) In her honor, the weekend had a British theme. Friday afternoon began with master classes, including Elizabeth talking about beginnings, Barb Ross on Revision, Janet Reid on querying, Gayle Lynds on thrillers, and Steve Kelner on motivation. That evening, after a pizza party and more sessions, came a welcome reception with desserts, and the main event, the celebration of TWENTY-TWO attendees whose first books had been published in the year since the last Crime Bake. 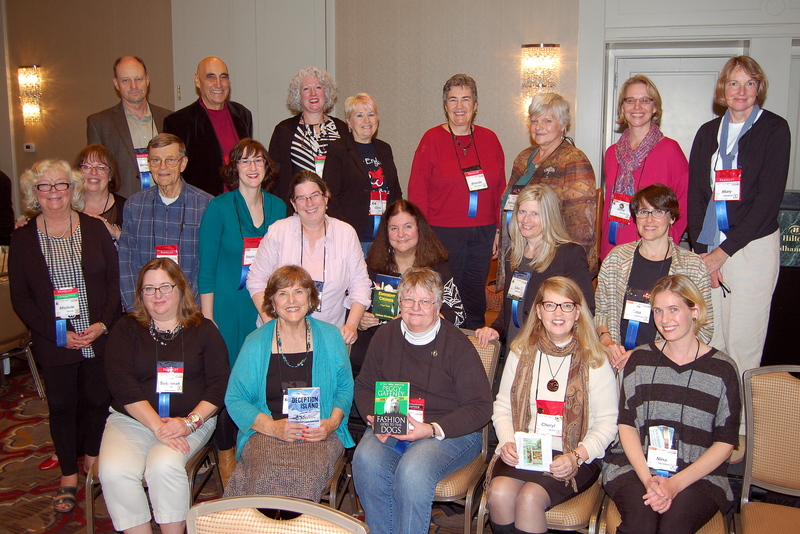 Donna and I did the honors, introducing the authors and giving them lovely blue ribbons they sported all weekend! Later, an episode of the Inspector Lynley Mysteries aired. 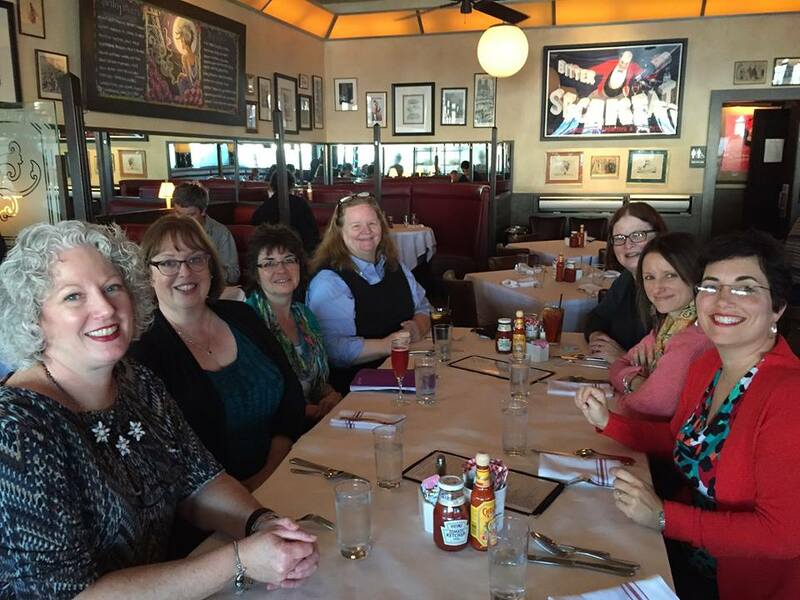 Saturday, I joined the SinC-NE board for their breakfast meeting. It’s an impressive chapter, and I was delighted to learn more about their activities and their plans. Unlike the fan conventions, Bouchercon, Left Coast Crime, or Malice Domestic, which bring readers and writers together, Crime Bake is for writers. Programming was practical, and dealt with the daily realities of getting our stories on to the page. Attendees have opportunities to craft and deliver pitches to agents and editors, and to have a partial manuscript critiqued by a published author. I moderated a panel titled A Traitor to Memory: Writing about the Past — all the panels were named for one of Elizabeth’s books — featuring historical mystery authors Kathy Lynn Emerson, Dorothy Cannell, Mary Lawrence, and Jim Benn. This was Mary’s first conference as a published author, and her first panel ever—what a pleasure to share in the nervous excitement! I read a book by each author, and I can tell you, if you love historicals, these are all great fun—and beautiful illustrations of why the historical mystery is more popular than ever. Over lunch, Julie Hennrikus, SInC-NE co-chair and national board member, who writes as Julianne Holmes, interviewed Elizabeth. I have always loved Elizabeth’s books, and been impressed by how methodical she is in her planning—as she says, getting the craft in place so when she begins writing, she’s made room for the art. Another excellent and useful session: Ask the Experts, a drop-in session where writers can run their scenarios and questions by experts in law (me), death investigation, law enforcement, and audio books. That evening at the banquet, many attendees dressed up as characters from British mysteries. 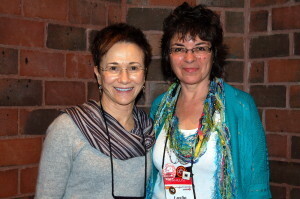 Donna, Margery Flax of MWA, and I were the contest judges. Most Original? Clearly the couple dressed as the Edward Gorey characters from Masterpiece Theater — she even had the moan down. Best Couple or Group, though they may not have intended to a be group: the Hogwarts Contingent, including Hank Phillippi Ryan as Beatrix LeStrange and her husband Jonathan Shapiro as Dumbledore, and Nikki Bonanni as Harry Potter. Most British? A tie between Amelia Peabody, with a mummified cat, and QE2, with a stuffed Corgi. Sunday sessions included two writer-cops updating us on the profession, in a fun and useful way—they’d also staged a mock crime scene for writers to investigate and solve over the weekend—and an expert in cyber crime, a hilariously funny man with absolutely horrifying information to share. In the wrap-up session, Hank interviewed four authors of how-to books for writers: Elizabeth, Hallie Ephron, Kathy Lynn Emerson, and Paula Munier. I forget to take photos, but here’s a raft and another raft of them from the Wickeds, and more from official photographer Mo Walsh on the Crime Bake memories page. I came home energized and eager to write, as I’m sure all the attendees did. This is a terrific writers conference, and I recommend it to anyone serious about writing crime fiction. Next year’s conference is November 11-13, 2016, with guest of honor William Kent Krueger, whose Ordinary Grace remains high on my list of great reads. Kent’s from northern Minnesota, so I’m picturing the costumes: lots of plaid shirts and camo, half a dozen Paul Bunyans, maybe even a fish or two. After all, it is a crime bake. 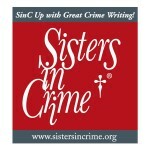 “To honor one of the most enduring author/agent partnerships in mystery publishing, Sisters in Crime is administering the Dorothy Cannell Guppy Scholarship, offered by agent Meg Ruley to honor her long-time client. The $1,000 scholarship will be offered each year to an aspiring or published mystery author who is a member of the Guppies (a member of the Sisters in Crime GUPpy or “Great Unpublished” chapter), and is designed to subsidize attendance at the Malice Domestic conference, held annually in Bethesda, Maryland. 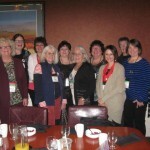 To apply, a Guppy member should send a statement, no more than 200 words, about how attending Malice will support her writing goals, to Sisters in Crime at sistersincrime@juno.com, RE: Dorothy Cannell Scholarship. Wow. As an original Guppy—one of two—I’m stunned and grateful. Thank you, Meg and Dorothy. Gups, get your entry in soon! Delighted to share news of a terrific new resource for writers: Writes of Passage: Adventures on the Writer’s Journey, a collection of 59 essays by members of Sisters in Crime, edited by Hank Phillippi Ryan and published by Henery Press. 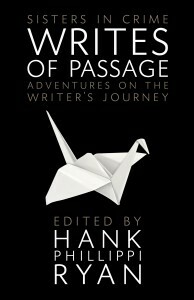 A road map for writers in any genre, from novice to bestseller, it’s filled with advice and inspiration for the writer determined to keep on trekking. My own essay opens the section on Belonging, and is titled “Connecting: Group Power, for the Writer Alone in Her Room.” Other contributors include Hallie Ephron, Elaine Viets, Krista Davis, Sheila Connolly, Jenny Milchman, Carla Neggers, Nancy Martin, and Laurie R. King. Needless to say, I’m thrilled at the company. I’ll be sharing snippets from essays on my Facebook Author page over the next few weeks. I hope you’ll join me there, or better yet, buy your own copy. It’s available on Amazon , from Barnes & Noble in store or online, through Indiebound, the Independent Booksellers Association, or from Henery Press, in hardcover, trade paperback, and e-book. Because who doesn’t need to peek at a map now and then?